Mongolia is a sprawling and sparsely-populated country located in west-central Asia between Russia to the north and China to the south. The average elevation is a mile above sea level, and much of the land is covered in deserts and steppes. The traditional Mongolian way of life is nomadic and centered on raising and feeding livestock, though a large portion of the current population of just over 3 million lives in and around the capital city of Ulaanbaatar. Mongols have in the course of their long history controlled huge portions of Europe and Asia, and have themselves been controlled by the Russians and Chinese. Mongolia most recently asserted its independence from China in 1911, but the country was then dominated by the Soviets. A democratic revolution in 1990 gave birth to a new government committed to free markets and multi-party elections. Mongolians are only just now becoming acquainted with golf. An American named Andre Tolme got things started in the early 2000s by dividing the map of Mongolia into 18 enormous holes and playing his way through them. 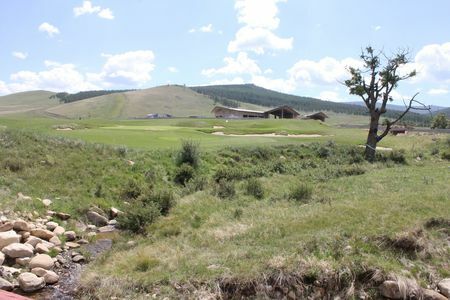 Genghis Khan Country Club has since constructed a 9-hole course that offers views of the Gorkhi-Terelj National Park, and most recently the country's first full-sized course opened at Mt. Bogd Golf Club as part of the Sky Ski resort in 2013. All signs are for massive growth in the game in this fascinating country.